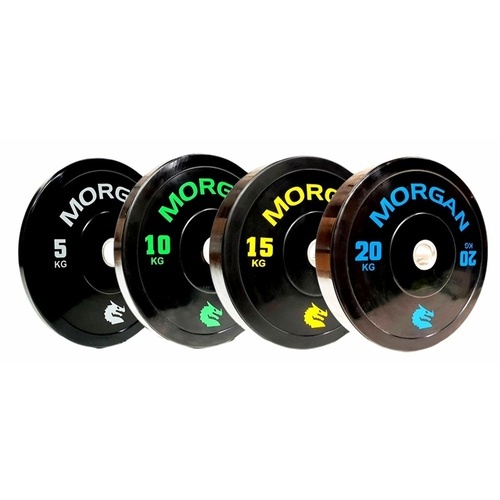 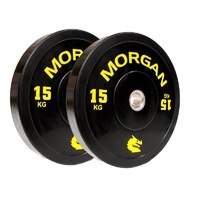 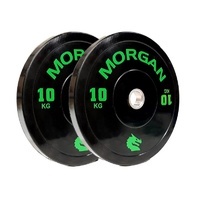 Morgan bumper plates are heavy duty and highly durable, with minimal surface imperfections, Morgan Sports HD ('Heavy Duty') bumper plates are precision moulded and ‘dead blow’ giving a very low bounce. 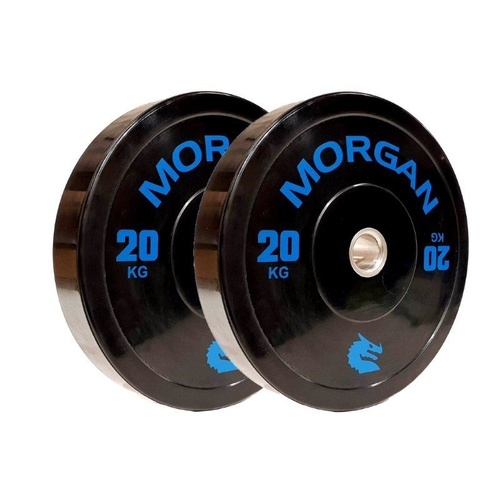 Bumper plates allow you to safely drop any load from the waist, chest, or even overhead with the confidence that you will not damage yourself, or your equipment. 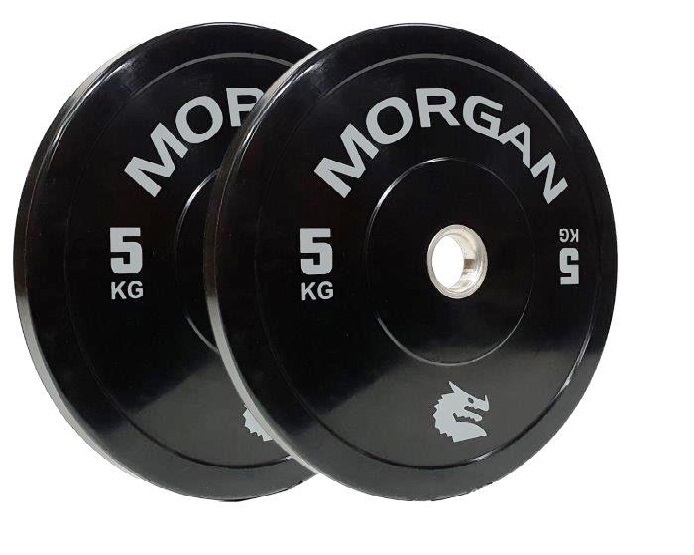 Heavy deadlifts, overhead presses, snatches, and cleans (and many others) can be attempted with the confidence that you can bail out without major consequence or injury. 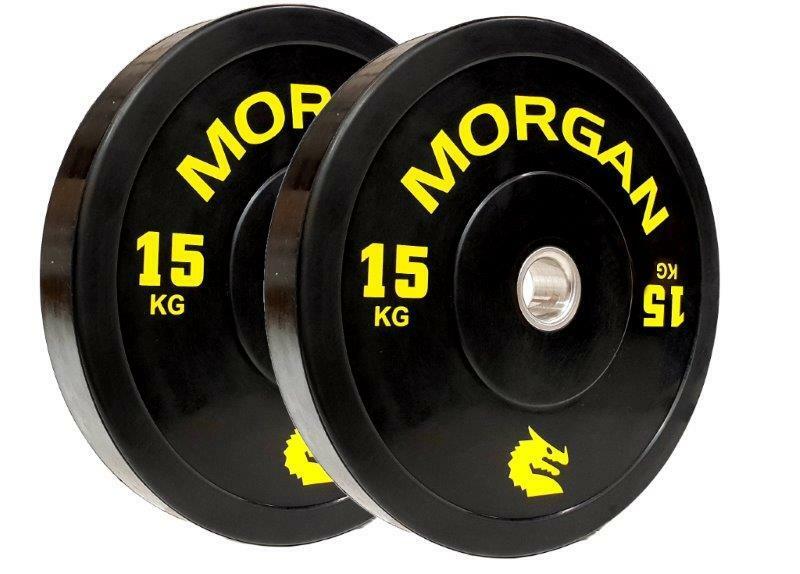 Do your floor (and ears) a favour and stop dropping those old metal plates. 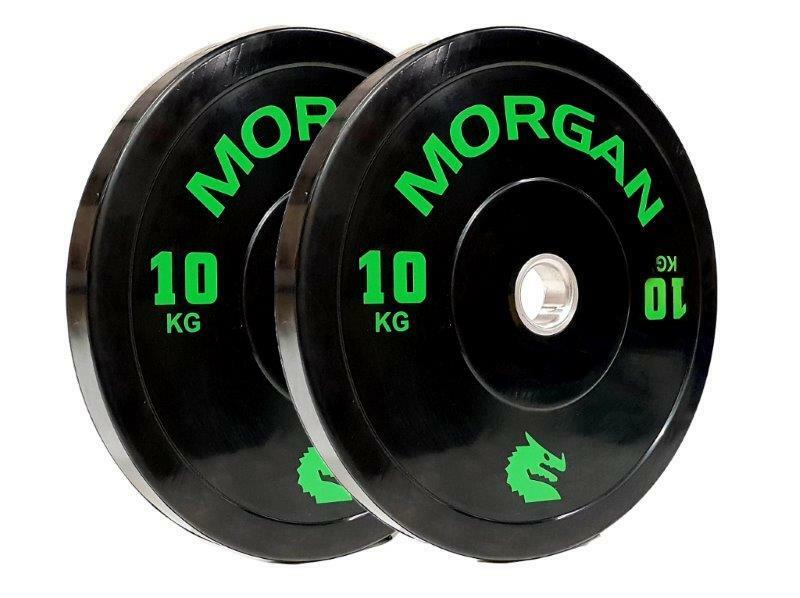 Durable and resilient solid rubber bumper plates for all your Olympic/all-round lifting/high intensity training demands. 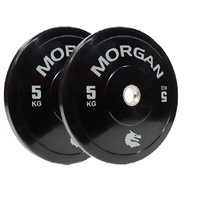 Chemically bonded 10mm thick steel insert. 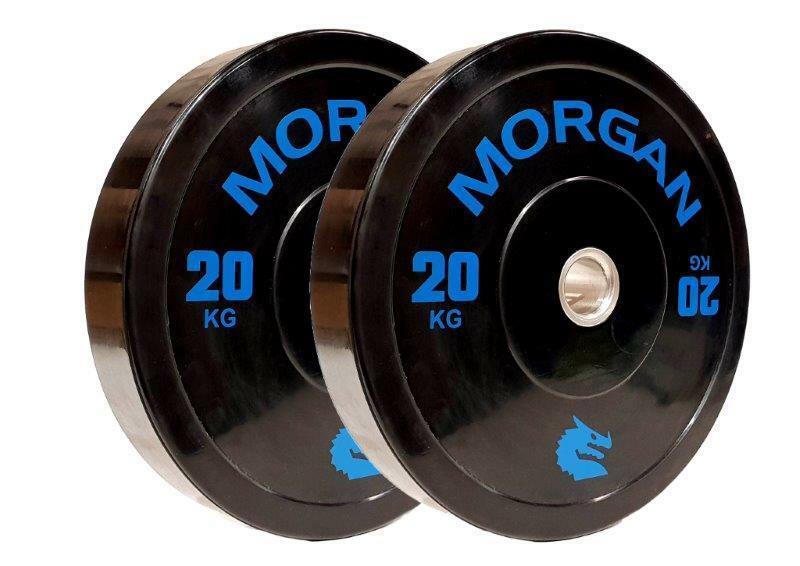 Shore Harness of 75 – 90 SHa for superior bounce reduction and safety.